I believe in the power of the heart: the home of unconditional love, compassion, and creativity. These three qualities are the intangible, invisible keys to my years of leading painting groups for cancer patients and remaining vibrantly in love with the work and the people. 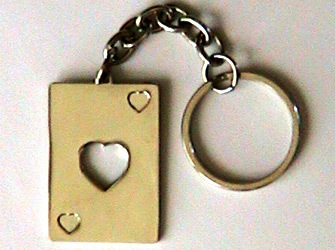 This heart key ring holds these three invisible keys.